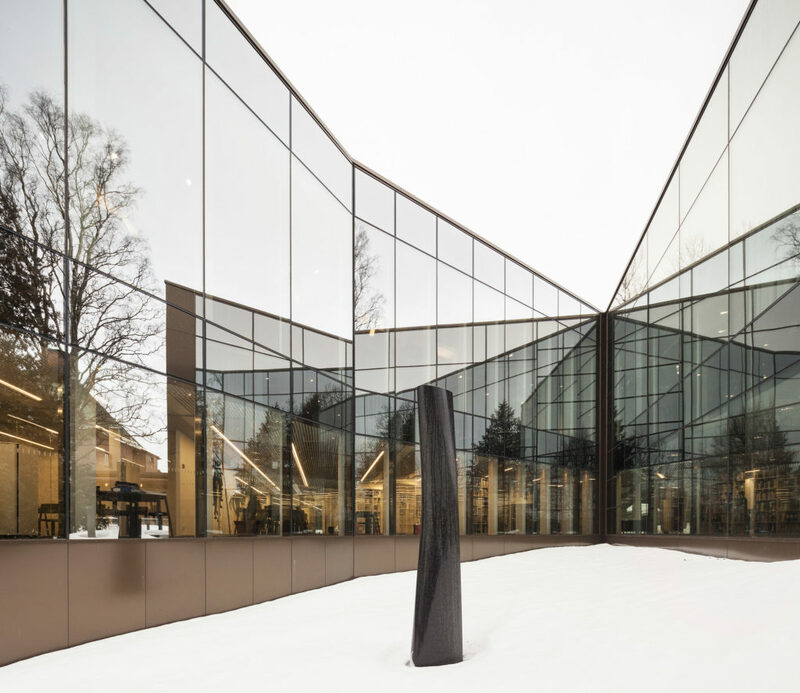 A harmonious and rich dialogue between contemporary architecture and heritage monument is mediated on an impressive and unique singular landscape. 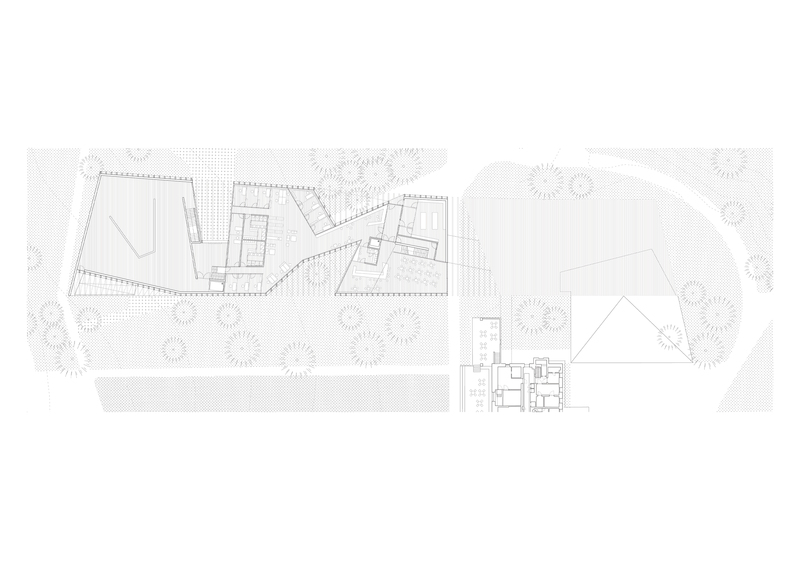 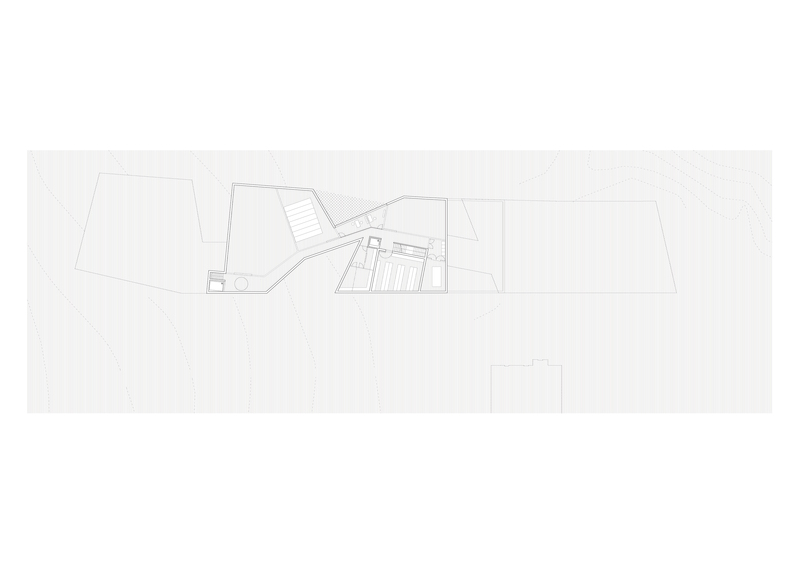 The new building stands in the middle of the landscape as an abstract forest and is arranged subtly next to the Joennimei Manor House creating an access square. 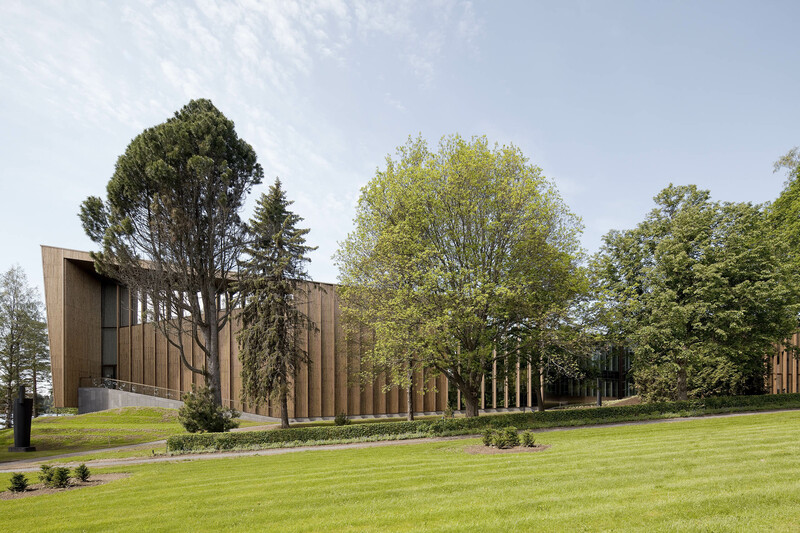 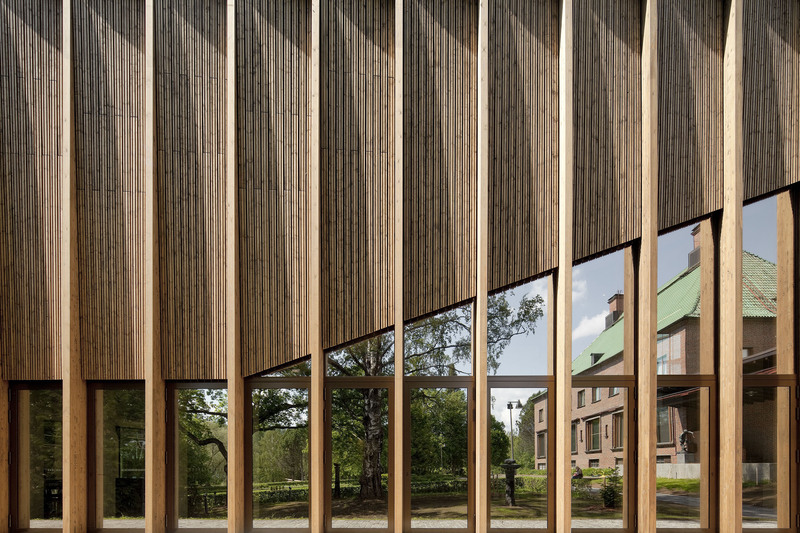 The new pavilion respects what was originally there while ensuring the possibility to create its own expressive architecture with modern language without losing its identity. 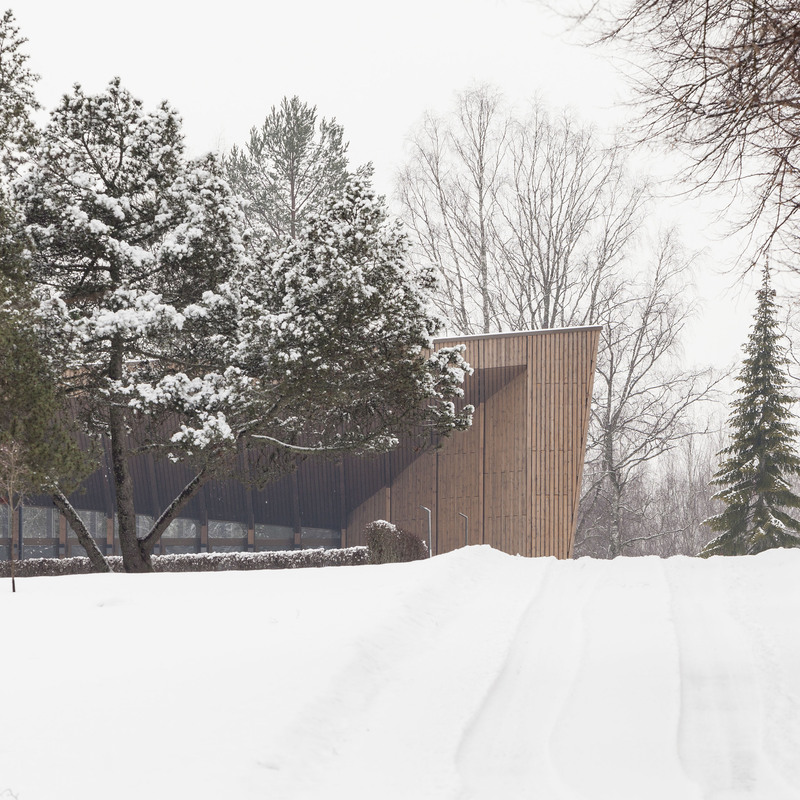 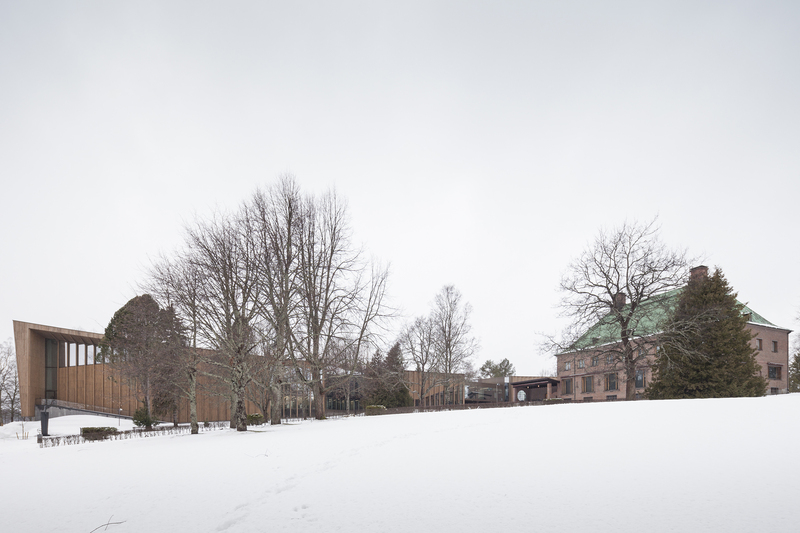 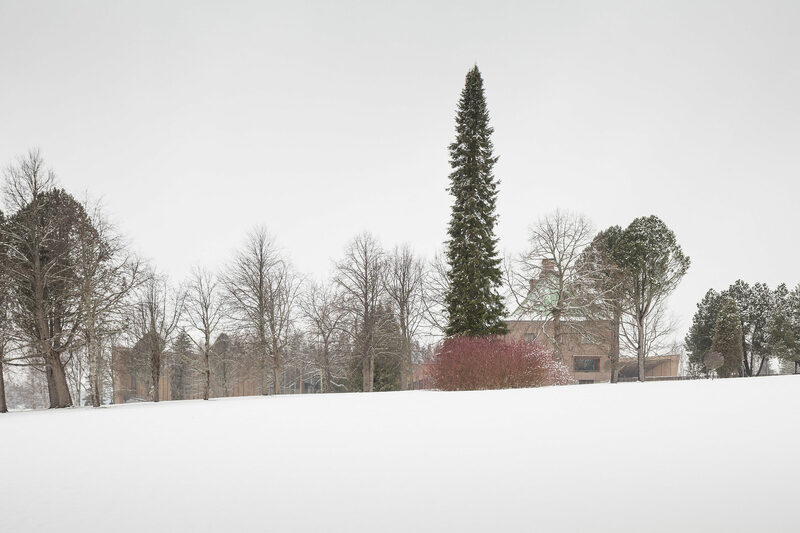 Despite the scale of the building, the historical Joennimei Manor House continues to be the main protagonist of the landscape, as the new volume is positioned in the background, parallel to an axis established between the house, garden and lake, blurring amidst the surrounding trees. 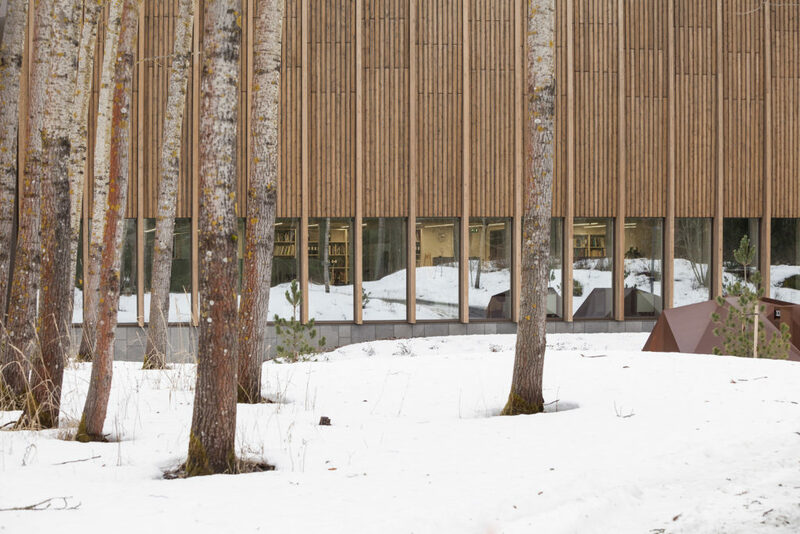 The new building integrates harmoniously and respectfully with the pre-existing, while not compromising the importance of creating its own architecture with a present-day language, not losing its own identity nor the search for a spatial wealth. 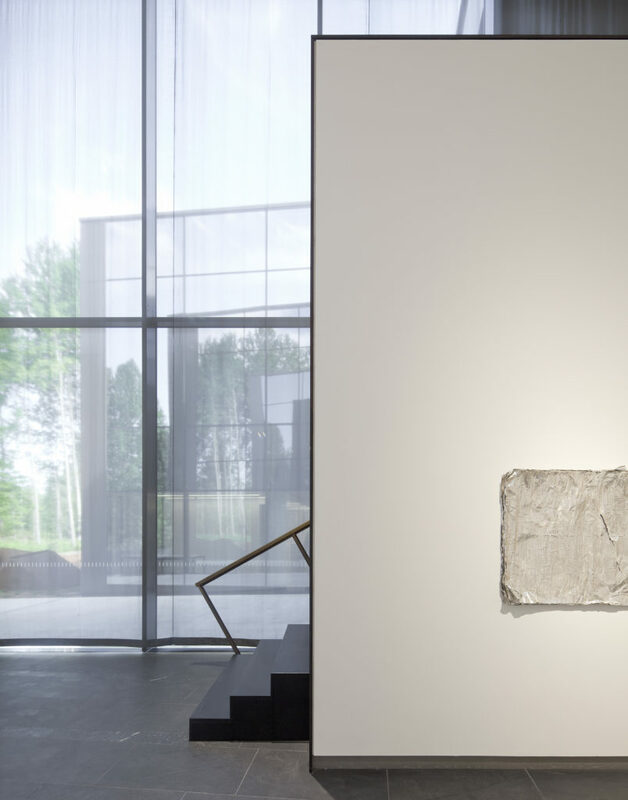 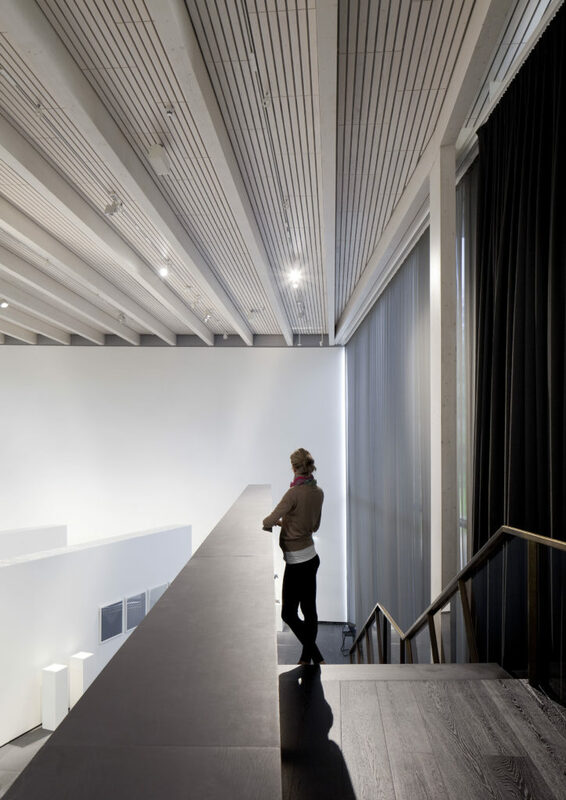 The interior circuit is designed to generate a continuous dialogue between the interior and exterior atmospheres, so that the landscape is always present. 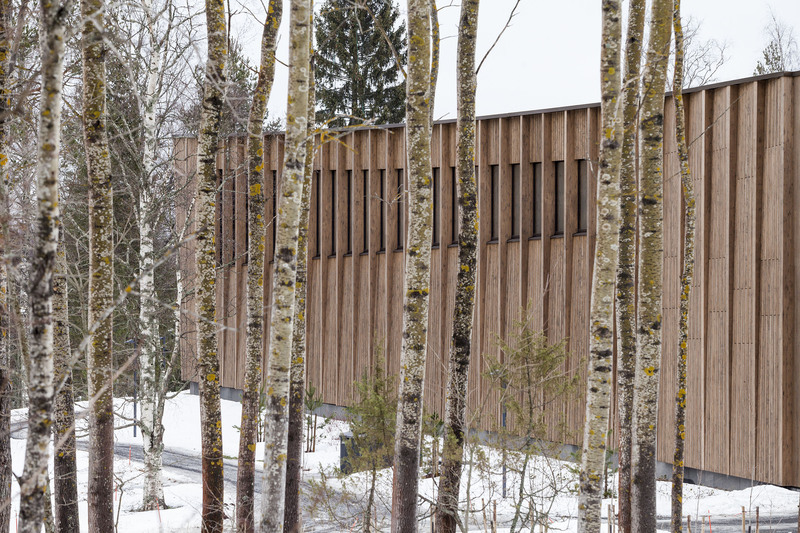 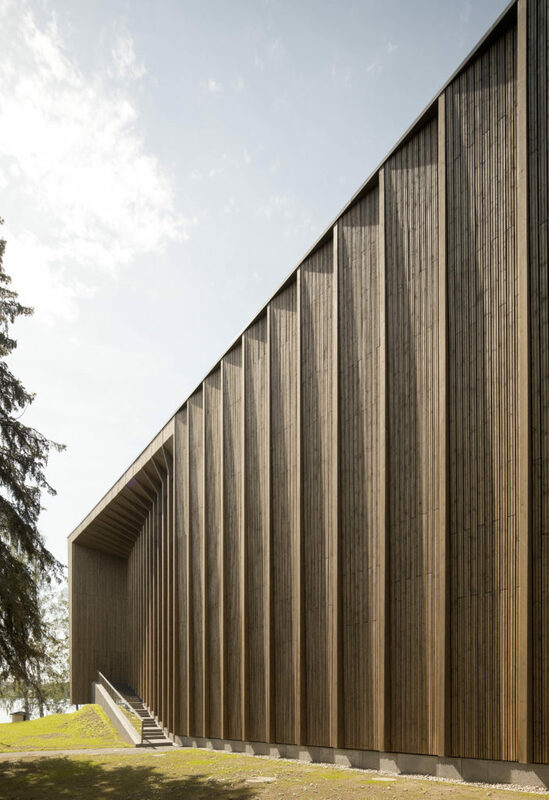 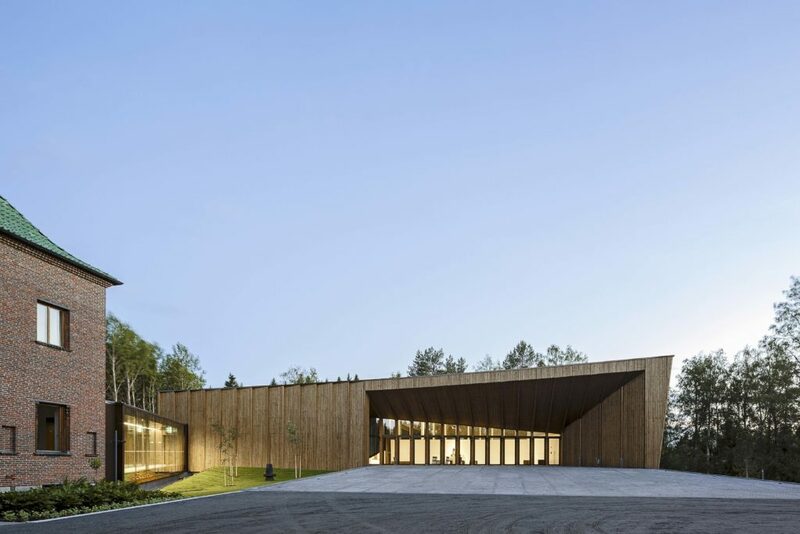 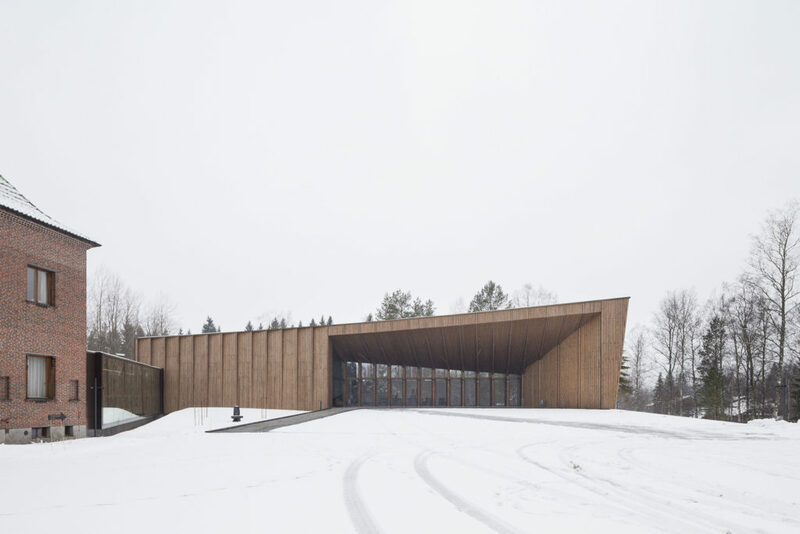 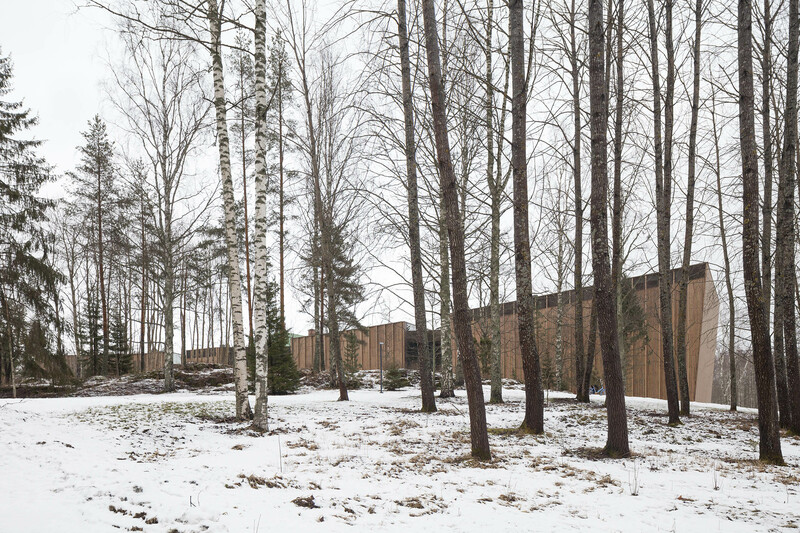 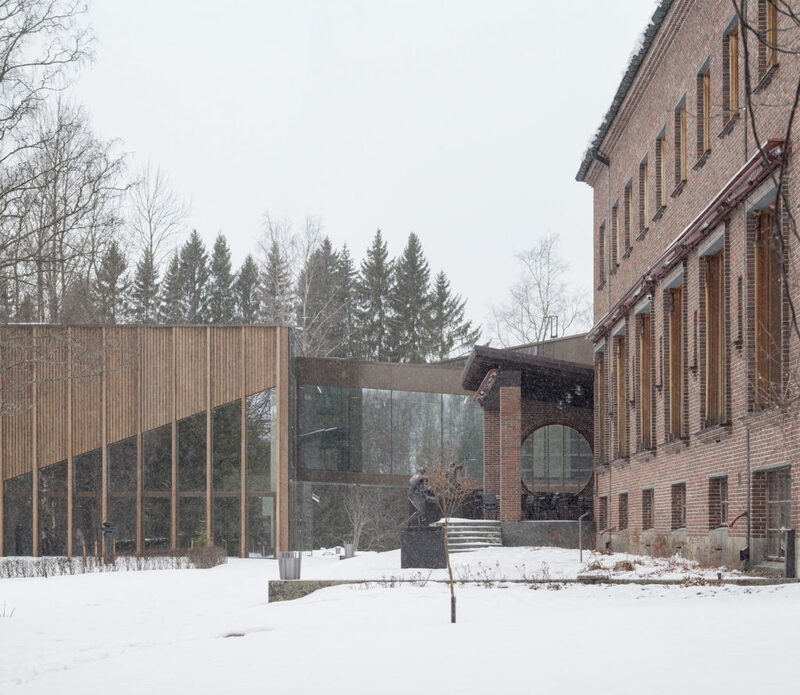 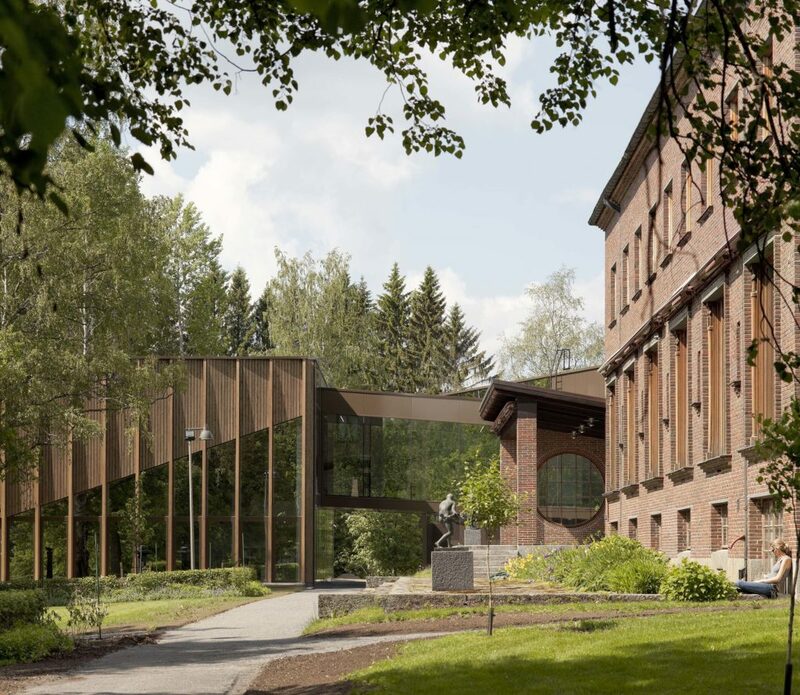 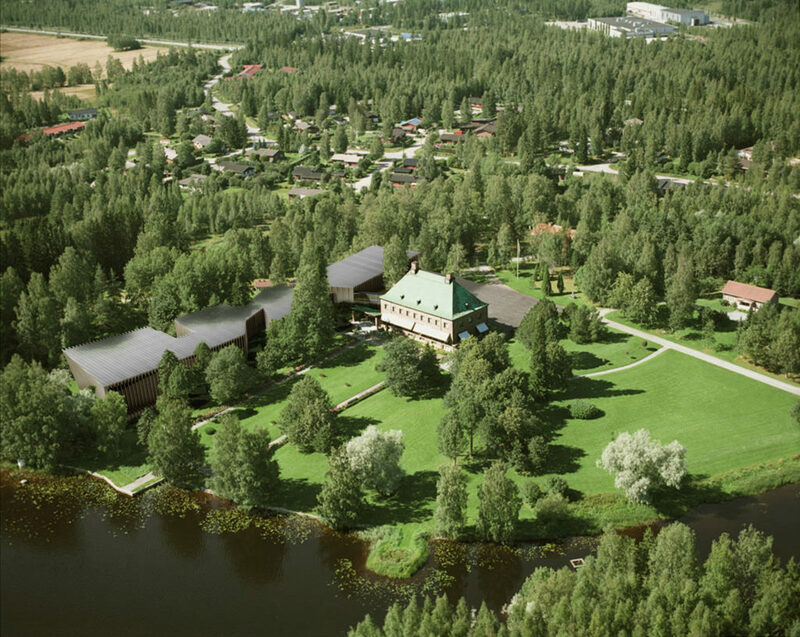 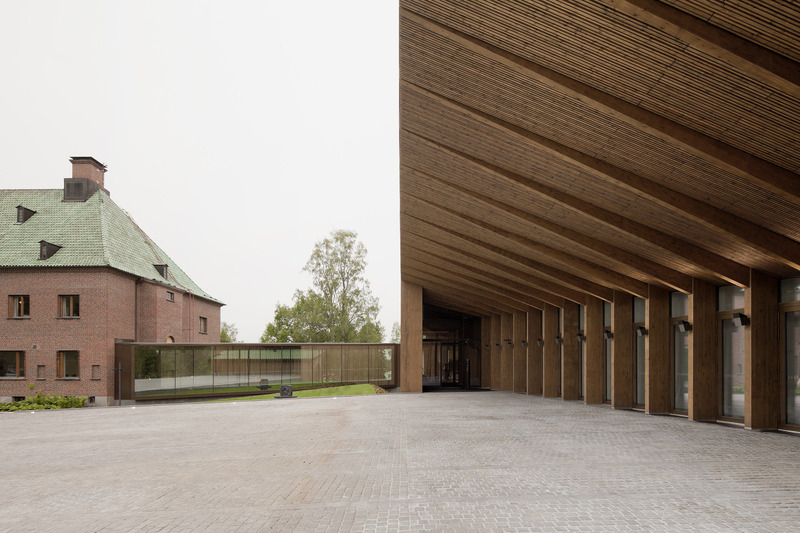 It is the first large scale building in Finland to use wood for the structural system and finishing. 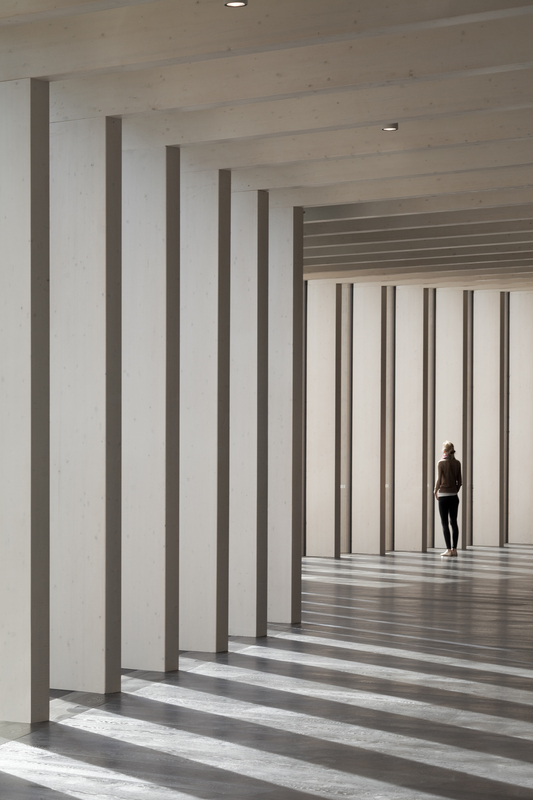 It emerges from the concept of a dense and abstract forest translated into a parametric system of prefabricated laminated wood frames of variable sections, workshop produced, which structure the sequence of the space and define its geometry and atmosphere. 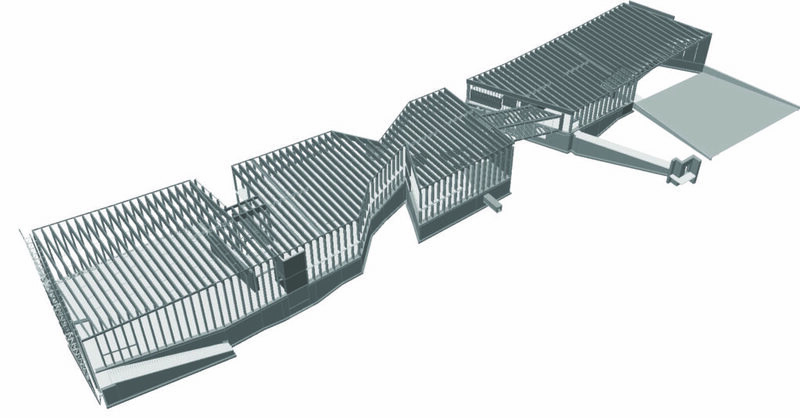 A systematized production installation which is completely handcrafted. 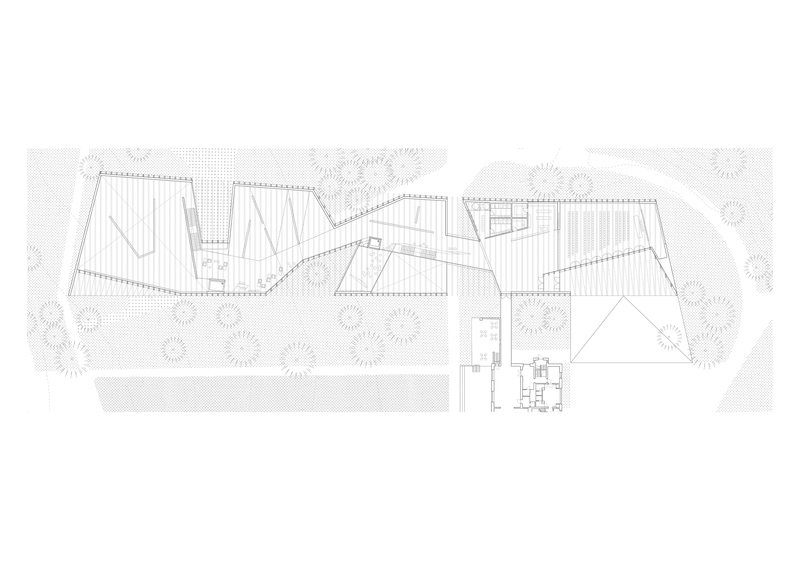 Despite its size the proposal does not lose sight of the importance of the perception of scale as you approach it.